Hello, fellow mama bloggers! 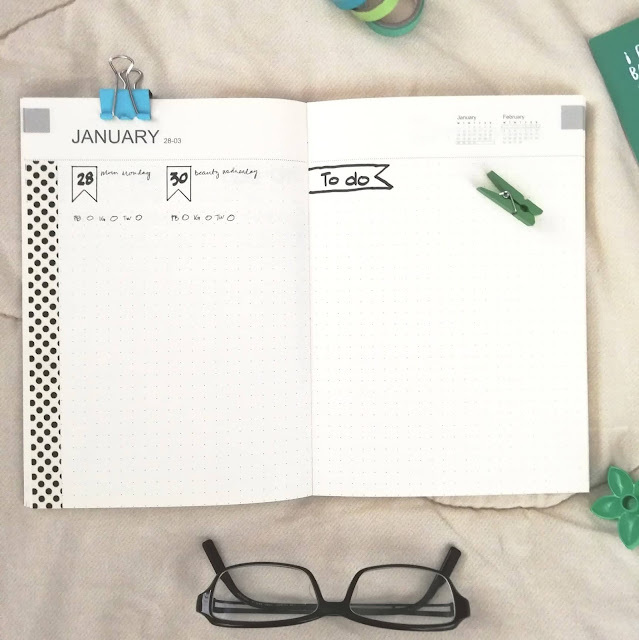 I'm showing you what's inside my blog planner for 2019. Yes, a planner exclusively for blogging! Because I'm a blogger—and a professional blogger at that so I really ought to take blogging seriously next year. I'm hoping a planner will keep me on top of things. Here's a peek! The rabbit in the lower right corner is my stamp. Essentials Planner covers don't have rabbit holes. 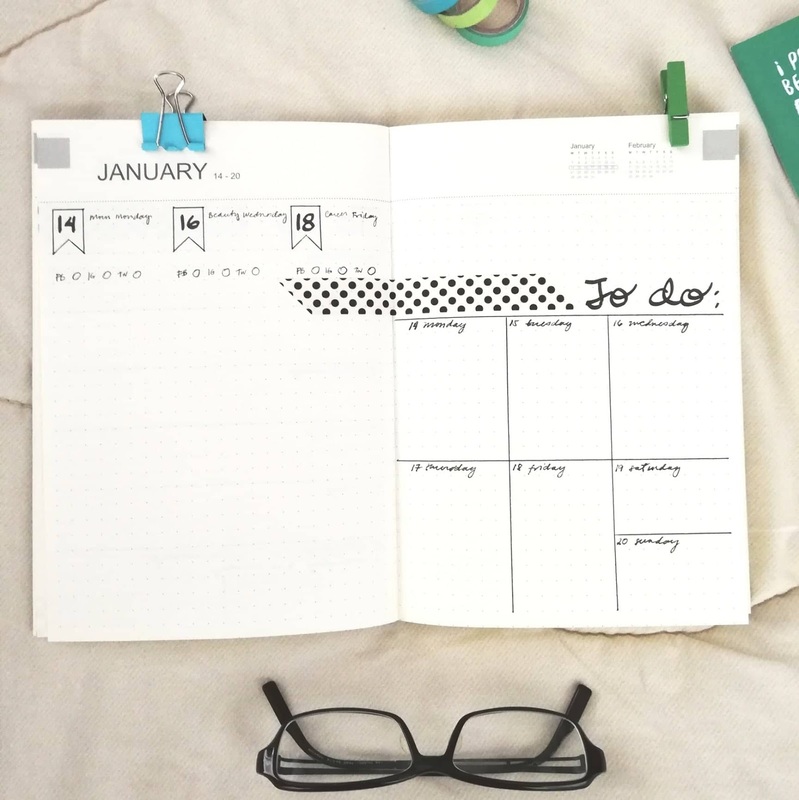 For my blog planner, I chose the Essentials planner from the BDJ Power Planner roster. I like it because it's a super flexible format. There are pages for the months and weeks, but the weekly spreads are just dotted so I can bullet journal my weeks. 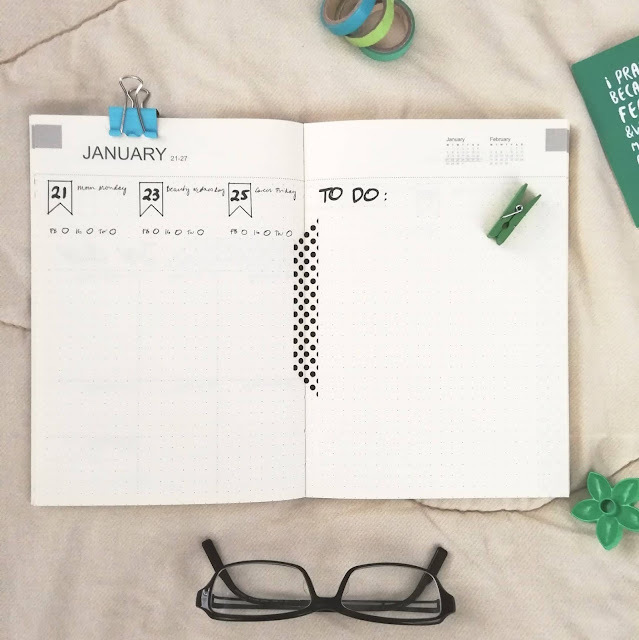 The Essentials planner is super minimalist. It doesn't even have a personal information page. That's why I've been a bujo planner for a few years now. I want to customize my planner and design every spread the way I feel that week. Some days I feel like drawing and doodling. Some months I'm too busy and I need all the space of my pages to write down my To Do list. One thing I don't like is daily inspiration. Okay, sometimes I like inspirational quotes, like maybe once in a blue moon. I resent being "inspired" every day, if ya know what I mean. I'm already too busy with work and motherhood. Please don't tell me to "design a life I love" like my life now isn't enough! Here are the annual and monthly calendars. I plan to blog MWF next year, hence the lines on said days. I'll put the blog posts under the lines. Events, meetings, etc go above the lines. On the notes section is my list of "must blog" topics. That just means sponsored posts! The press kits list is the stuff I regularly receive. I always forget to post them on Instagram or Facebook! Sorry, PR agencies. Hopefully, listing down the PR kits you send me will remind me to talk about them this 2019! Wish me luck with this MWF schedule! I've been meaning to follow it for 3 years now and it's not been happening! Here's my first week in January! Monthly goals is listed here. That will mostly be me aiming for higher stats, more followers, more sponsors. Battle plan will be maybe advertising my blog and social media accounts on FB and IG, doing giveaways, sending proposals, etc. You can see that my MWF blog schedule has a theme! Yes! On Mondays, I plan to talk about motherhood, marriage, home finds, recipes, household chores, family holidays, etc. On Wednesdays, I'm going to do beauty reviews, share my beauty regimen, maybe do fitness updates (if I finally exercise this 2019 haha). On Fridays, I'll talk about the working mom life, shopping finds to make our work easier, career tips, blogging tips. Under each blog post, you can see I put circles to check. These are to remind me to promote on Facebook, Instagram, Twitter. Then the empty space under is for blogging ideas, doodles. Also, if I have a campaign from a blog sponsor, this is the space where I put down the details (agency contact, duration of campaign, fee, deliverables) so I won't forget. For the last two weeks of January, I left it mostly blank. I figured I should wait to see if those previous layouts will work. If they do, I'll continue using them. As you can see, the Essentials planner has dotted weekly spreads that allow you so much flexibility. I really like it! 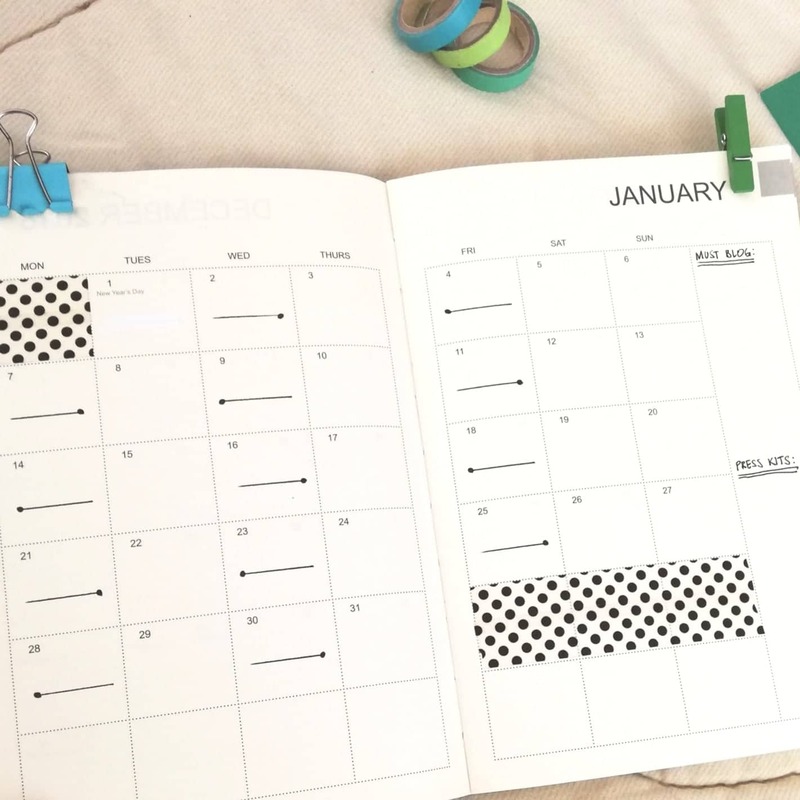 The rest of the planner looks like this—just dotted weekly spreads encouraging creativity or simplicity or... productivity, which is what planners are supposed to do really! By the way, the big spots design is mine. It's just washi tape. For February, I'm thinking of going more colorful. I always go pink on February. And I always go flowery in summer. My June-September are usually no design at all. I'm just too busy! Around October, I start decorating my planner again with stickers, doodles, and washi tape. My spreads are never gorgeous like the ones on Instagram's #bujospreads but I aspire to be that talented. 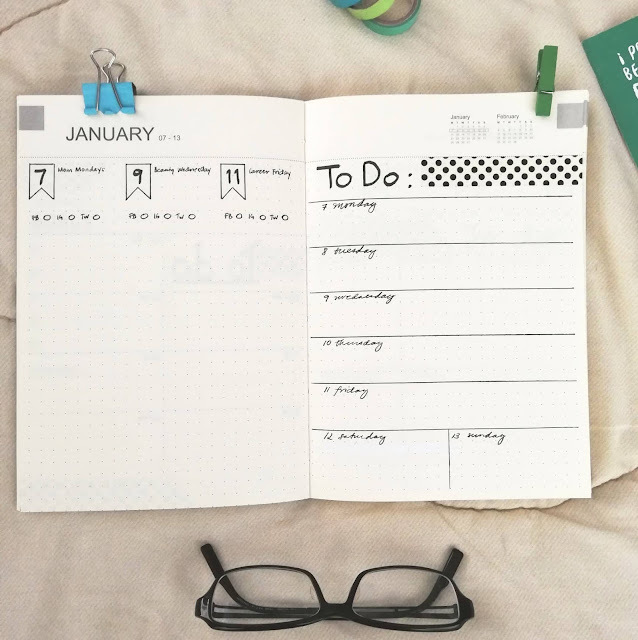 The last few pages of the Essentials planner are plain dotted pages for notes and whatever you like. 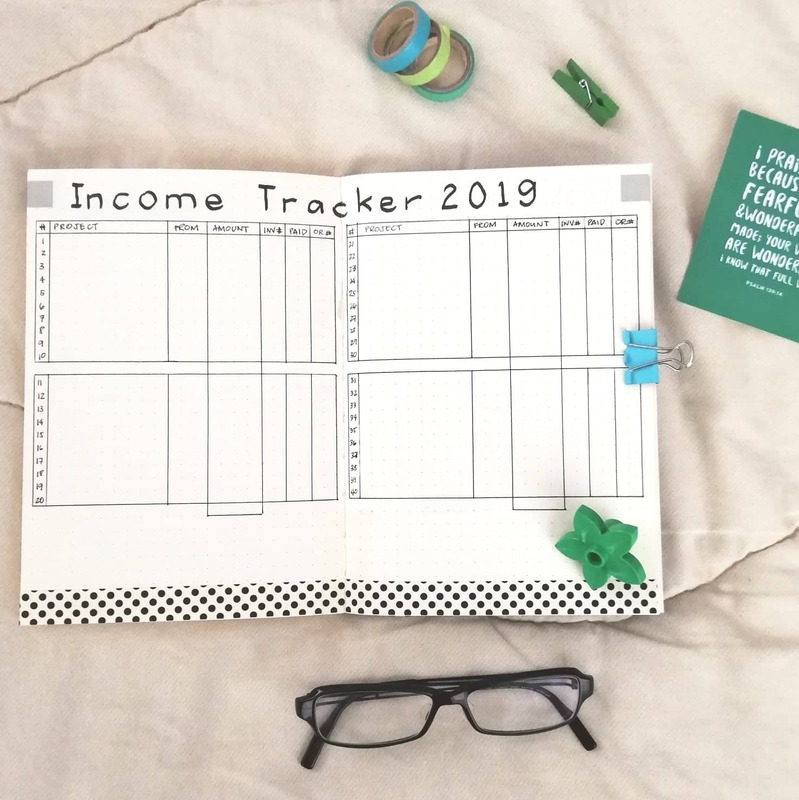 This is what's in mine: Check out my income tracker! I've always had something like this in all my planners. I actually don't necessarily need this because I have Taxumo which tracks my income and expenses online. But I like having this table in my blog planner so I won't need to go online to check how I'm doing or who needs to pay, etc. 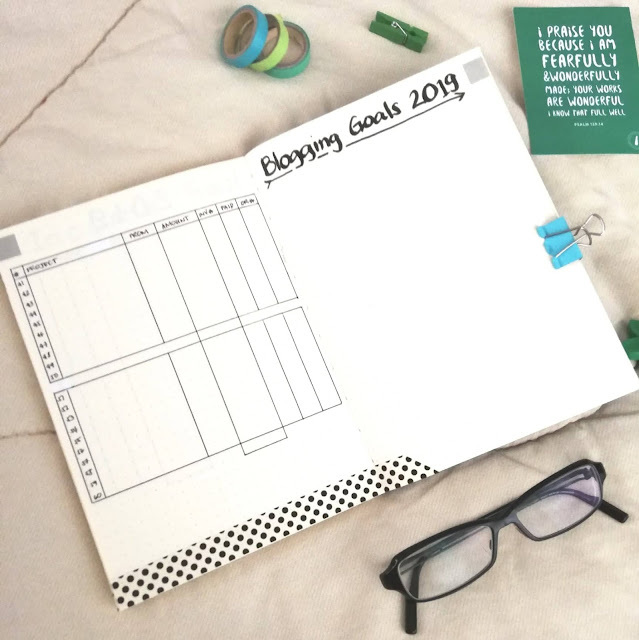 Aaaand my 2019 blogging goals are at the back! Ya, maybe the Essentials planner should have a few of these plain dotted pages at the start of the book so I can do goals, bucket list, and personal information there. That not being the case, I put them all in the back. It's okay, I think. What do you think? So there you have it! 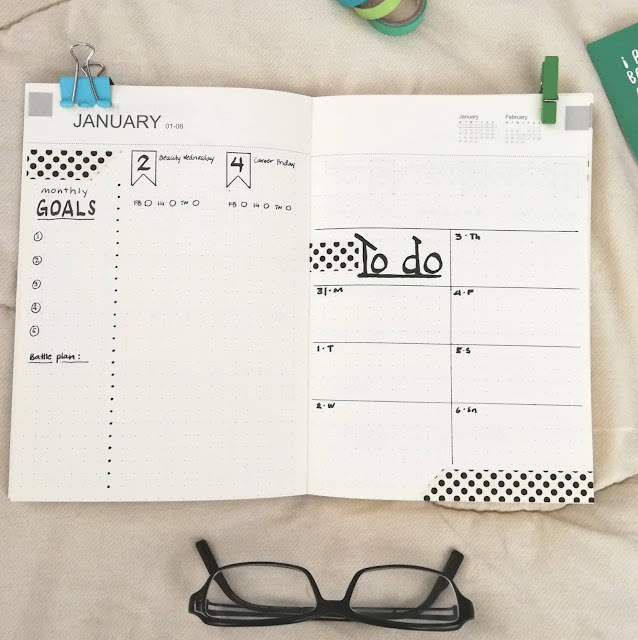 My 2019 blog planner! I hope it helps me become super successful next year! Do you have one like this, too? What does yours look like and what do you suggest I should include in mine? 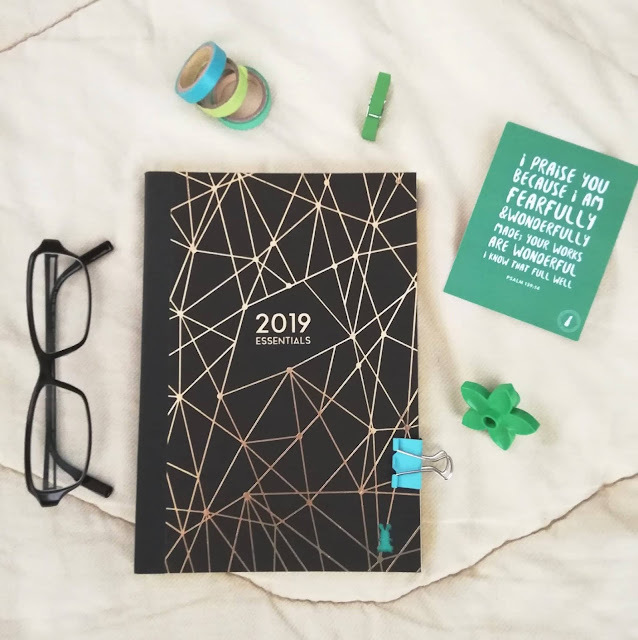 *The 2019 Essentials Planner is available at all leading bookstores and from the Belle de Jour Power Planner online shop [click here to buy]. It's just P300! So affordable! I LOVE IT! 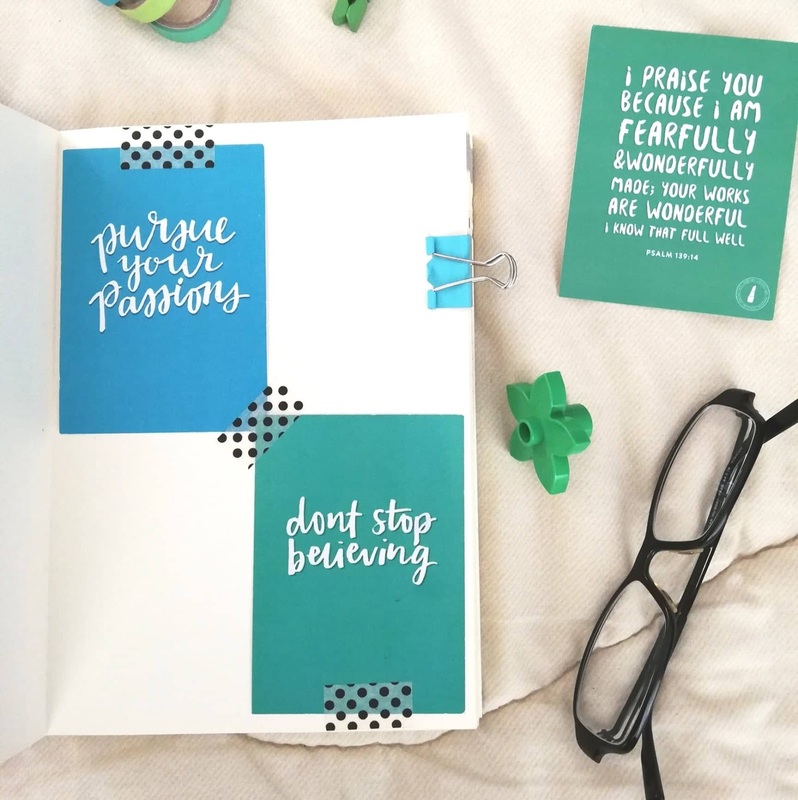 But if you want a planner with more flair, color and inspiration, BDJ has a lot to offer. Yes! 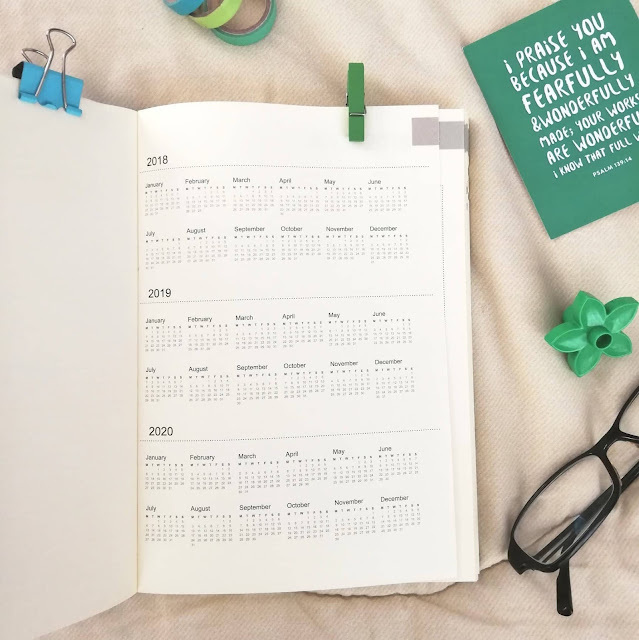 There's not just different kinds of planners, there are journals, stickers, stamp sets, and calendars, too. Click here to shop. I'm fascinated by bujo planners I see on IG. I even tried copying some hehe! I'm not much into quotes and daily inspiration. Sometimes I find them unrealistic. Minsan naman parang nakakasakal sa sobrang perfect. But sometimes, quotes make a big impact on me. I haven't got a 2019 planner yet but I'm plannning on bullet journaling. Cheers to a more productive year ahead! I wish you a successful year ahead, too!